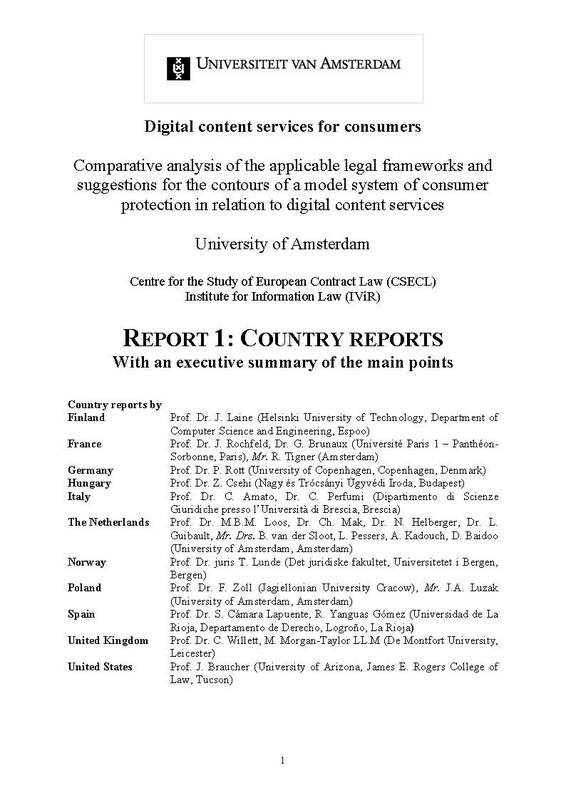 The liability of Internet Intermediaries in Europe remains one of the most difficult subjects in information law. Especially when open platforms thrive on User Generated Content, the responsibility for illegal activities and content is often difficult to allocate. The same counts increasingly for media agencies and news and whistleblower sites such as Wikileaks that cooperate with or provide a platform for amateur journalists. The role of the producer and the consumer, the hoster and the user and the journalist and the reader are increasingly merging. This chapter is about the position of Media Agencies in Holland. Holland has always been on the forefront of new media developments. In 1618, the first newspaper appeared and seven years later, booksellers placed their first advertisements. The first radio program in the Netherlands was broadcasted from Scheveningen in 1919. Like in most countries, broadcasting of television and radio was originally government controlled. Public broadcasting agencies still play a very important role on both radio and television. Typical of the Dutch media landscape is the pillarization. Dutch society, until the sixties of the last century, was divided in three pillars: catholic, protestant and liberal/socialist. Buy the book here or download a draft of the chapter here. Secondly, a general typology of different internet intermediaries and their status under the Dutch legal system is presented. Thirdly, an outline is given of the main obligations. Finally, the main indications and contraindications for the existence of a duty of a care and liability for negligence of this duty are presented. This article analyzes the liability of hosting providers in Europe. In Europe, roughly three regimes apply to the liability of Internet intermediaries for privacy violations conducted by users through their network. These are: the e-Commerce Directive, which, under certain conditions, excludes them from liability; the Data Protection Directive, which imposes a number of duties and responsibilities on providers processing personal data; and the freedom of expression, contained inter alia in the ECHR, which, under certain conditions, grants Internet providers several privileges and freedoms. Each doctrine has its own field of application, but they also have partial overlap. In practice, this creates legal inequality and uncertainty, especially with regard to providers that host online platforms and process User Generated Content. Report about the use of User Generated Content by News Agencies in the Netherlands. The perception of UGC by news journalists and its status in the newsroom is ambiguous. According to a study by Pantti and Bakker some news organizations consider UGC to be an enrichment for professional journalism. It enhances and corrects the content produced by professional journalists and, importantly, it can provide content from a newsworthy event where no professional journalists were present or – when they were present – were not able to create the content themselves. This is an interesting proposition for news media, especially for those who, indeed, have to do ‘more with less’. Furthermore UGC is considered to strengthen the relationship between news organizations and their audiences.